“Each conflict is unique! " Salena: Hey, there and welcome to this week's episode of the bringing business to retail podcast, today I've got Matt Barnett on the show Matt's from Bonjoro and if you joined my retail breakthrough series you would know exactly what a Bonjoro is, it is a personalized video message that I recorded over four of recently and welcomed every single person into the retail breakthrough series. I really love this platform because of the way that it connects. So, I asked Matt to come on and talk to you about how personalized video messaging can be used to significantly retain your customers in in your retail business so welcome to the show Matt. Matt Barnett: Hey, Selena thanks for having me. Salena: No problems you know, I will secretly profess and not secretly professor. I tell everybody that I love your platform and I love it because I can get that instant connection with somebody and when I when I did send out all those videos recently I was having people email me saying they felt so special getting an email just for signing up to a challenge. So, what made you even think of a little app that you can put on your phone that allows you to send a video to anybody for her email. So, like to be honest it was an accident, so I've told those two a couple of times but essentially, we had another business where all of our customers were large agencies generally in the UK and the states and we're based here in Australia and so, yeah relationships are super important but it's very hard to break through to people especially in different time zones. So, I work in the city here in Sydney. I take a ferry to work to work every morning and we built a hack where whenever someone signed up it will ping me and I made the decision to send every single person who ever came into our lead funnel a video and this is because look I love people. I'm baking with people everything came down to getting on the phone or talking to those individuals and what I would do is record a video on this ferry the wind to be blowing in my hair you couldn't understand me half the time. But I was showing the Opera House you know and most importantly, I would say that person's name. so, I'd say hey, Jamie from Ogilvie you know one little too you sign up, I saw you came in that my name's Matt and the founder were based here in Sydney you know I'll be in New York in four weeks would love to come and talk to you in team you know and there's the Opera House and we thought not much of it, but overnight we tripled our response rates and back and they were just saying yeah and they've come at us and saying that this is hilarious usually absolutely come in and see us. Salena: Where you guys in your onesies because you guys have your team has a propensity to do videos in onesies. Matt Barnett: All that came later as we start to build a brand, this was the early hack and it was just trying to get a personality across and like I'm not a great writer yeah, I'm a good talker and in an email it's just not me, but on video it's me and that's all we will try and do and they start to happen yeah and then and then you to cut a long story short one of those customers asked if they could use this little hack we built and then they sent some out and then one of their customers asked if they could use it and so, we let them come on board and then you know hey presto eight months later, we've had the kind of thousands of signups come again it's just time taken off, but it was before brand it was before everything else it was just us trying to get more responses. Salena: And it works, I got one of those videos, I think the one that I got was you walking through London because you told me you're in London and you had to step into like a doorway because the wind was blowing so loudly. I just remember thinking oh my goodness, but I actually care like they're real people and I guess that's probably why I'm such a big advocate of your platform over you know other platforms that do this is I feel like I know you guys even though I don't. Matt Barnett: It's funny, I mean I think so many businesses like we're not unique yeah, like lots of businesses care about customers I think probably challenges is how do you show that at scale you have seconds to welcome someone on board, if that person is gonna be a customer absolutely worth at time and so, this is just an easy way to do that but you know I mean the flip side is pretty fun yeah, we see someone. I think it's like in three seconds you kind of you kind of get an idea if you trust that person like we're very good at judging people, but obviously on your email you don't see the person as video, it's like well here we are it's a completely transparent if you like it's great you know, but it's again we're not unique, we just found a way to do this I think most businesses out there have people who love customers or we wouldn't be doing yeah, I think. Salena: I think that's true, but the extra step of actually putting yourself out there because a lot of people can find video very daunting and this is raw video this is there's no editing process the only editing is a do-over, it's literally hold it up say some stuff and then press go and so, I know that when I feel quite confident on video but for me this was a different medium. So, the first time I had a script there that worked for about the first one and I just realized this was not going to work it doesn't work because it's not authentic and it doesn't work because it's you know the stutters and the stammers actually make you know they're not knowing what you're going to say makes it all the more real and connectable. Matt Barnett: I means crazy, I love this because video is obviously a hurdle for us but the absence to be honest, if you were having a coffee with someone meet someone you never met before that's how you come across you know you will study you will stammer yeah nothing's prepared you just kind of get off the cuff. So, it's just real life and then suddenly we put a video up and when you can see how you look we think oh but that's how everyone else sees anyway. So, yeah I mean one thing is you'll find because with this system you're doing a lot of one-to-one videos it's not one perfect video very quickly as you said you kind of get over the scripting because you realize you just can't do it and then when you realize are people react better if you make a mistake send that video because people will think it's funny and they'd like okay well this is real it actually helps and that's because we like transparency we like you know genuine people I think um, it's time kind of starts to drop those barriers of business and personal. Salena: Yeah, I remember the first time I ever used it was when I was doing a live event and I thought it you know there were only gonna be twenty or so, people there I thought this was okay this I wasn't going to be overwhelmed with having to do too many videos they weren't going to come in at once and I remember even going to the venue and videoing myself walking in the door. It was a little bit complicated in the fact that you had to go up an escalator and through a door and things like that, so I thought what better opportunity to just say hey I'm here at the venue yeah, this is how you get there and I sent that one because I sent that well not personalized. I sent that one to all twenty like the day before because it just to me was making the customer journey so much easier in this case the physical journey of coming to the event so much easier and that was I think you had that a little bit later I don't know if you had that right from the beginning, but the ability to send it to a bunch of people for me was that just opened another door and I did think to myself after I did the four hundred so videos that there were several people with the same name and if I was smart I probably could have sent the same video to all of them like you know it's Lisa, but then I kind of figured it wouldn't be as authentic. So, I did every person even if you had the same name as somebody else. Matt Barnett: I think is important people to know that I mean and this is the thing we have been asked before you know we obviously will get marketers coming on board and they're like right guys do you know like you said a video for least are sent every Lisa um, it's kind of a hard one for us wasn't like I understand the reason behind it but I'm like it's kind of against that the reason behind doing it. Salena: The whole ethos of the product. Matt Barnett: The ethos yeah, it's even if your customer doesn't quite realize, the fact that you're doing that and you're pretending that it is for them personally is already taking a step in the wrong direction. I mean there's a part here that is about doing business better and you know showing that you're willing to go where other businesses won't go and that's what customers need and kind of I mean to us like that's what I think they deserve yeah, it's not about video everything we're doing here like we're building a brand as much as anything. I mean brand as you know this ethos of look if we can remove all the process from your business, really what that should do is not it doesn't mean you go in you know automate everything with customers it means you actually have more time to spend making real with customers and that's what's important. 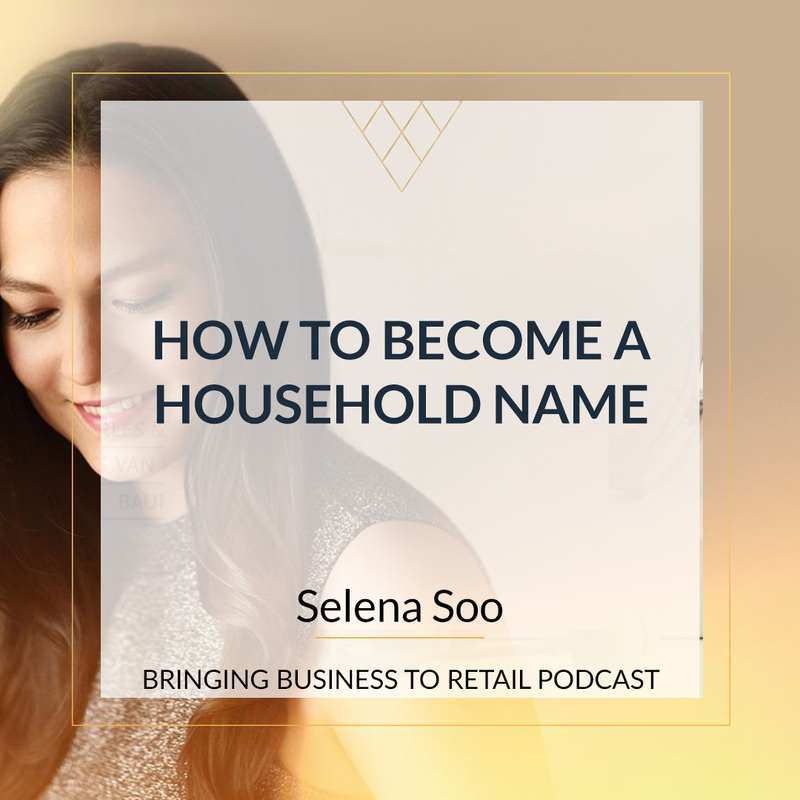 Salena: I have had this conversation with many of my clients who are all retail businesses some ecommerce businesses and to me this product for an e-commerce business is game-changing because you no longer are just a website you actually are a person. So, I love this as welcoming every new customer where possible and here's the thing you can if you have a team you can actually assign these to different team members. So, you don't have to get overwhelmed with all of them, but the other thing I think the number one tip that I have if you're a business if we're using Bonjoro is use it when you're sending somebody's order out you know hey Emma, I'm just picking your order here I love this product to like great choice. I just want to know that it will be going out in the mail this afternoon and you know keep an eye out on for the mailman over the next couple of days. Yet one it's proof that you pop your package got sent, two it's a little bit of validation that oh you think I chose really well we all love that and three, I now know like I now am excited about the fact that yeah, I know my parcel went. So, it's coming in the next couple of days. Matt Barnett: I met a chap while ago who has been doing this for the last few years. So, before Bonjoro was everything and they sell I think Hills Hoist sand and things of that. Matt Barnett: Yeah and super successful like awesome business really switched on vacant like a big niche, but I was trying to him and he's like we've been doing this a couple years he goes we send out videos from our packing department and they do some like three a day when things get delivered. I was like super interesting here why he doing this and he goes two reasons guess first of all that expectation and knowledge that deliveries coming is a massive confidence booster, it shows you know with there, it humanizes us you said the other thing is that when they get it we then send them a link and awesome to leave us a review and he's like we get far more reviews like their site has thousands of google reviews of people like amazing communicate and these the hills always he had nothing special just so smart and I was like you don't need Bonjoro like you are like we'd learn from you. This years and he's like it works, so well but it but very importantly he does the follow-up after delivery and so, he does is he takes that the added engagement that he gets from spend the time doing this and turns into reviews which I think is genius. Salena: which we all know especially in e-commerce is gold yeah, one googles loves fresh content and two it's the social proof that comes with the product. So, thank you for that little tip I'll be adding that one into my bag of tricks because I have that okay. So, if people are thinking all right now, I need to know what this platform thing is one of the tips that you've got for people to actually making this thing work properly apart from being raw and real and authentic. What are the other tips that you've got? Matt Barnett: So, I think anything you use this new there is a testing period, I think whenever you invest in kind of new technology most platforms out there the world has come free trials, we've the same make the most of that for your trial and rather than you know putting like a toe in the water gives me a proper shot. I think the easiest place to start on this, so like best intentions don't have a million ideas and won't do them all pick one thing and do well. So, I think the easiest place is just start with your new higher value orders. So, invest in the kind of higher value care products and customers, set it up and test out of these twenty messages that go out to individuals we say they're being authentic everything else, if you can tie a message into your brand it is awesome so for instance yeah, if you're selling let's go back to the Hills Hoist sky, I'm like what right well if you could do it in the Department will Hills Hoist if you do outdoors if you just want eyes inside brand that's great. We obviously our brand is all about bears, so we make sure our message is quite fun, we tend to do out in the cities and stuff because that's the whole point we'd come out here has been authentic and real so we do that don't do messages in a whitewashed office building with bad lighting, do it in your place in your place of work or outdoors or yeah again like tie these back to your brand. I think want anything just have some fun with it, I don't think you should take this too seriously it's not the point of what it is. The more crave you can be if you can involve team members often you know it might not be you that ends up being the person that really gets to grips with this, but it might be one of your more junior team members it might be only one team or one of your more senior team members my best team member at this is a twenty-three year old, but he wasn't intern and then it's come on full-time in the UK and she's absolutely hilarious and she beats all of us hands down on view rates and shares and responses just because you have so much energy. So, I think you know if it's yeah give it a proper try have some fun with it try it with a couple of team members if you have them and see who it fits the best. Salena: Okay, I'm gonna throw some tips in from someone who's done many now first one is don't try to go further than a minute unless you have a reason to go further than a minute like when I was you know doing the journey into the event, it's just you just start to stumble and stutter and you're not quite sure what to say and you don't know how to finish I always love the message. But I was thinking the Hills Hoist guy probably does this because he's pretty savvy is always making sure you have a call to action, so in his case. It could be hey we'd love it if you love your product when it comes if you could leave us a review don't worry we'll be sending you an email to remind you but we always value your feedback. So, they kind of know that it's coming for me it's always you don't follow me on Facebook or something along those like whatever I'm trying to promote because you've got a little button at the end that they can press to do whatever, I've just asked them to do and oh you said earlier, but always say their name like always make this personal thing which is you know hi Jane, hi Emma and you were talking about your young in turn here's another this thing is awesome right guys. I just want to give you this example because this is how you can use it. I sent an email requesting to ask if the product could do something and she actually sent me a Bonjoro Oh back saying hey, I got your request I yeah I don't think she could answer it at the time I just wanted to let you know that I don't have the answer for you, but I've got the guys onto it and I'll let you know as soon as I can and I was hands down just absolutely flawed because normally when you email a company you get some stock standard offshore reply which is you know we're looking into it, but you have no hopes no dreams that you're ever going to get you a product yeah whatever the answer is to the product, but that video was like again oh my goodness these people care they actually got my request and someone's going to get back to me like all of a sudden I think the expectation diminishes because now I know you're real even though I already knew you're real. But now it's like okay somebody is looking into this for me, so I'm I am sure that they've got a handle on it so using these even for those really cranky customers in retail you know the type of people we're talking about the ones who no matter what you do whatever what you say they're going to be keyboard warriors and they're going to take out all their frustrations of whatever's going on in their life against you because they don't know who you are and you know the color was wrong or whatever the problem was. But if you did a video back to them I am positive that at least fifty percent of the negativity and the anger and taking it out on you would diminish. Matt Barnett: Yeah, absolutely yeah, it's so much harder to be to be upset with a human and this is one of the great shames about you know the way we've gone with email things it has dehumanized us and I said those people I think it's their fault like this is the thing, I think it's a challenge of you know we've had bad customer support over time and you know and our expectations are low in what comes back. So, when you break that cycle people are they generally react extremely positively and yeah, the funny thing is I’m sure this is known this may we converted, but when you turn those cranky customers around they become your biggest. Matt Barnett: Absolutely, so it's like I like well like when I get a you know a cranky message, I'm like here's an opportunity to get an advocate every time. Salena: Yep, okay, so I have another question for you which is in the days of everything being crypto malware don't click on anything in email because it will shut your computer down and hold it to ransom, what can you do to make sure that people actually click on the email. So, inside of your app just so the listeners can understand inside the app you can I think it's swipe left and you can see all the Bonjoro that you've done and it will tell you whether the person's open the email or whether they've clicked it. I do love that I think someone watched one of my videos six times. I don't know if they're just showing it to their friends or what, but that just gave me like a little bit about oh this is all worth it. So, I know that when I get I click on nothing anymore apart from now I'll compose yours because I know what they are, but if a customer is getting this how can you increase the actual click rate so that they go and listen to your message. Matt Barnett: Okay, so I'll take a bit of a case here as well from an Australian shop, so the person ones it's called Jamie's, they do subscription organic fruit and veg out in country New South Wales. So, quite a non-tech savvy audience, so this is a big thing for them the way they tackled it is first of all when that order comes through the can't order confirmation they let them know that they are going to be _ that there'll be a message coming and that it's okay and that it's from them and they mentioned the word Bonjoro oh that goes out. So, this is just a little thing that they put in, when you do these videos you also have an opportunity to write a message that goes out with the Bonjoro you want to make sure that message is against lights heads that individuals. So, will often say hey Nicola, this is Matt here just want to welcome you on board Bonjoro in person. This is a message just for you, so there's a little message you can write that will show up in the email body make sure that is explicit in explaining what the message is, cover the things we have a subject line function in the system. So, you can change your subject lines again there are a number that work better, I think mentioning that this is a one-to-one message recorded just for them helps there and then finally we have a little gift function as well which actually makes a little movie image and if you start your video waving and smiling that has a big impact some people actually getting into as well. We mentioned just before we call the idea of holding up a sign with the person's name. so, funnily enough I've seen mixed results with this I would love to say it works outstandingly so writing a person's name on a whiteboard so that shows up in the image that goes in the email, it actually doesn't seem to have as big impact as we thought well and so, here's a challenge that you know that we have it I do think there are certain people who are likely to open things and certain people who are likely to not open things and it's actually quite hard to shift them between the two and this is because of the world of malware and everything else. So, I think the biggest impact I've ever seen is actually letting someone know that you're going to send the message first with live automated messaging to get out in Bonjoro what we are doing going your head is looking at other ways to deliver messages. So, beyond email into potentially social potentially SMS and we're trying we've got another few tricks coming where we're gonna be testing other ways to get these open more as you said as people start to realize what bonjoro are we are seeing open rates increase and more people are using it. But I think really smiling waving make the subject line explicit in what it is mention their name and the message that goes in the email body as well all these helped to increase that. Salena: Okay, I just removed the question, I held you when you're young into an email Bonjoro I'd be back which was can I use this as an SMS or a massager bot function. Matt Barnett: Yeah, so they're working on its it's not as it's not as simple as first seemed no so, we will be doing this now obviously SMS running above clients I have and capture SMS is and have permission to use those. Matt Barnett: SMS is amazing just again like never abuse it let us keep that channel nice and clean and fresh social can be good as well, I think what it might come down to is actually delivering through a number of messages to reach that individual, but again we'll never get a hundred percent and so, I think what he needs to do as a business whatever you're doing any type of outreach to customers being email be SMS be a bit videos anything it all really comes down to ROI. 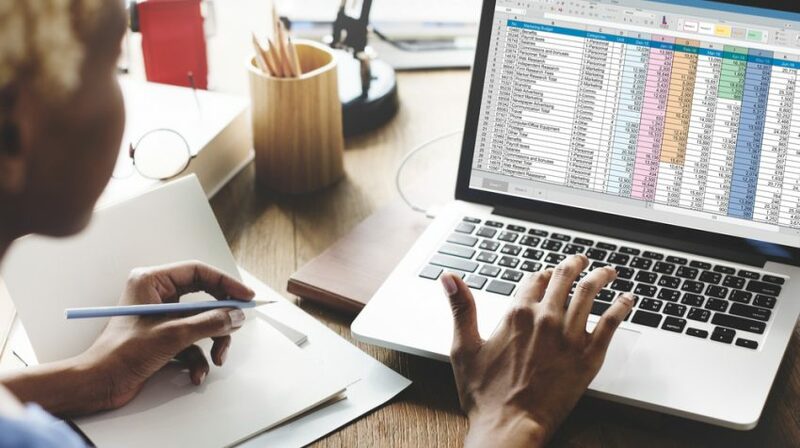 So, you know it all comes down to what are the results you're getting do they justify the time you're spending and you know with this and again every business is different. I think you'd look at it and go am I getting more orders am I getting more reviews and my game more engagement I mean getting more the math if that's working then great and then it's just a case of testing and incrementally improving over time the same as you would do with any kind of mailing out to your lists I think. Salena: Do you have a stat and I'm putting you on the spot here, so how a Bonjoro email open rate compares to an industry average open rate? 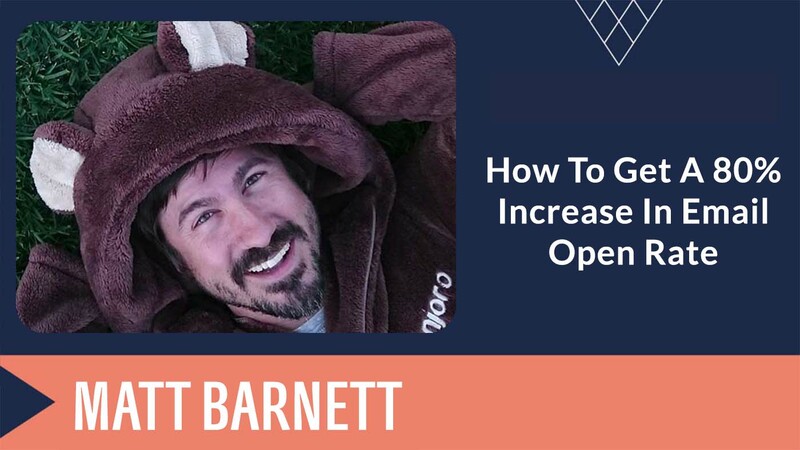 Matt Barnett: So, average open rates across all users and even we have many shops for them, we also have SAS companies and we have doctors we have an incredibly kind of range of people the average open rate is eighty percent. Matt Barnett: So, that means that they kind of get the email in and they check it out would they then office you have to go and watch the video now we don't count the views until someone's watched at least five seconds, so when you get a view and this is quite important it means they've actually consumed the content, so just having an open on email I think is actually not the best indication of any email because we can open and release it straight away. Matt Barnett: When there's been watching something you know they've watched your message that across the board is around fifty percent of all the message sent out. So, I mean fifty percent of people who get these are consuming that entire message. 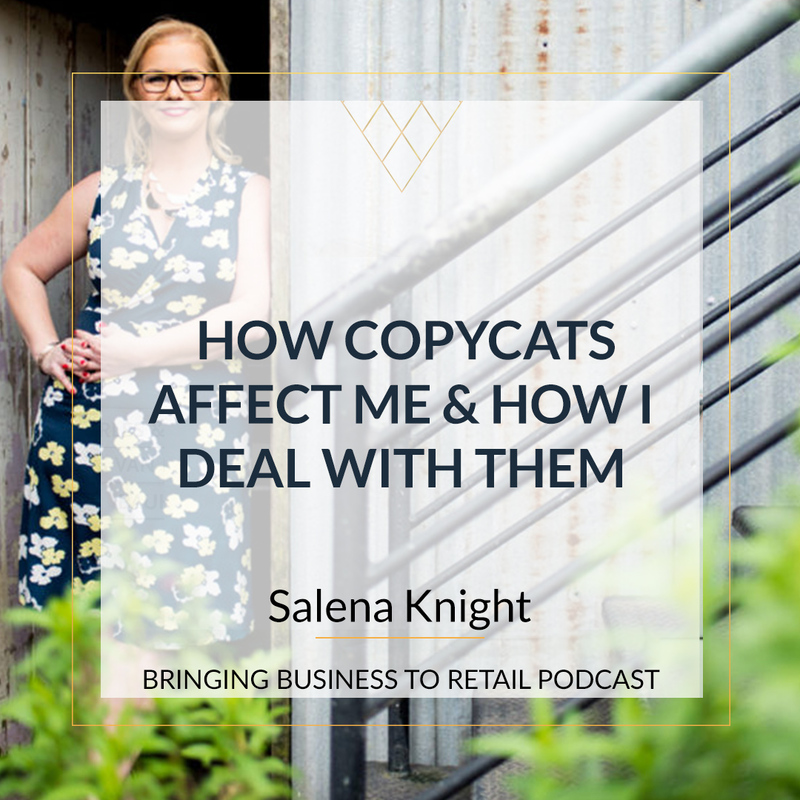 Salena: That is a lot better than a click-through rate well in retail the click-through rate over between three and you know three to five percent is doing really well. 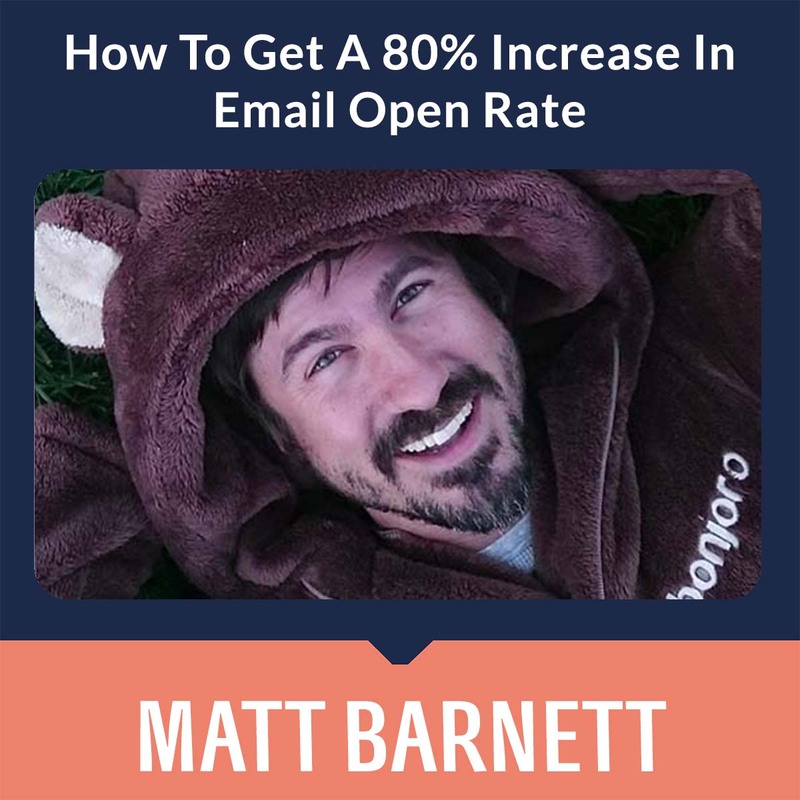 Matt Barnett: Is your click-through rate if you like and then it's click food and then stayed there and then consumed so it's pretty high. Salena: I was gonna say and let's be honest if someone's watched more than five seconds it's unlikely they're not going to watch the other twenty-five, thirty-five seconds because in those first five seconds you've said you know hi Emma, so glad you're you know is gonna finish say their name they're not gonna hang click stop. So, as long as you capture them in those first five seconds there's a pretty good chance they're going to go on and watch the rest of it. Salena: well you have shared so much and even I have learned something about how I can you know even get more from your platform. So, I know that you've got a little gift that you are going to give people you've got a little white paper that's available what's that about? Matt Barnett: So, we talked a lot about delights and this can be a bit of a nebulous term, but what we mean is this ability to surprise customers is we think the best way to get them to engage with your brand and then come back and repeat purchase and become customers for life, delights is all about the unexpected. So, obviously sending in your message to a person individually is absolutely unexpected and it creates as little spark of endorphins and so, what we did we reached out to some of the best individuals influencers companies and teams around the world and brought together their thoughts on how they delight their customers and how people should do it and we pulled together a white paper. So, in there you'll find you know Pat Flynn you'll find the teams in Zapier and many more automatic delight customers we pull it together and that should be available at the end of this. 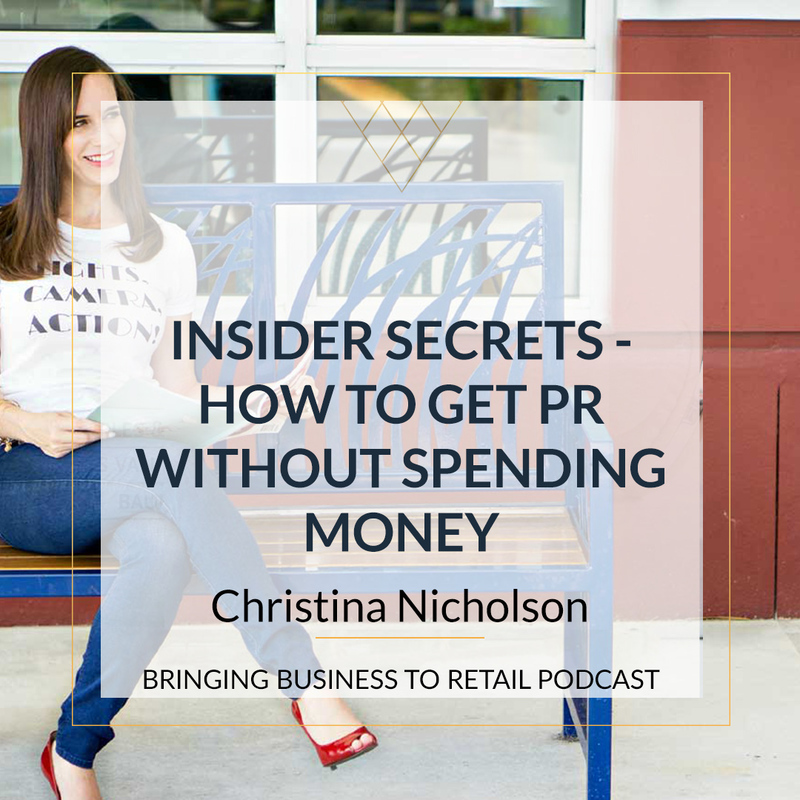 Um, I have read through look at some of the ways that again the best in the business to light their customers on a regular basis I hope you guys should be some great tips that you can take into your business. Salena: And where can we grab that up. Matt Barnett: There'll be a link with this podcast. Matt Barnett: If you don't get that then you can head to our Bonjoro website and on our blog there's a delights blog post with the link that download. Salena: So, were the world Bonjoro come from? Matt Barnett: Look massive fan of brand and I think in today's day and age there are two things when it comes down to choosing a brand new business, now obviously Bonjoro has connotations to Bonjoro as you said Bonjoro no which is Italian for hello, so they are greeting people second thing is that the domain was available, let's face it that's the big thing these days um look I think when you're coming with a brand if you can create a word that doesn't exist a of course you can get you know your domain you can tend to get your trademark on that but it also is absolutely unique to you. So, rather than using a word that is just already create a word that has the right connotations that is fun to say and can be said by you know multiple people in different languages and then make sure the domains available. Salena: And what about the best suit? Matt Barnett: So, you're getting back to brand yeah, so if you think about what we're doing here, we're building apartment health people delight their customers we take that to the extreme, we're extremely fun team Bonjoro is supposed to be a fun product it's all about humans. So, we have a bear logo don't know how I came back, but then it's evolved into thing where all my team when they first joined us get to order custom bear suits and my customers get bear suits when they hit five videos buy them all for their kids it's a bit of fun and again us being at the extreme we hope that that drags I customers to being a little bit more creative and a little bit more fun and realizing that it's not about being too serious. Originally a British Industrial designer & Artist, I somehow turned everything upside down and ended up founding a tech company in Sydney Australia. Bonjoro was born from a customer success hack where we’d send every new signup a personal welcome video and has just snowballed over the last 18 months. My love of building great products is only surpassed by that of building great culture, and our culture is the absolute main driver in our business success. Our goal is to be the next Zappos, to be most loved brand in the world.